Red Matrix Bisbee Turquoise - A Very Striking and distinctive look in Bisbee Turquoise. Durango Silver bought the remaining Bisbee Turquoise collection from Cecil Mickelson's family in 2002. Cecil was Bob Mathews brother-in-law and was Bob's partner in the Turquoise business. They both lived in Durango during the time they were getting the Bisbee Turquoise out of the mine. 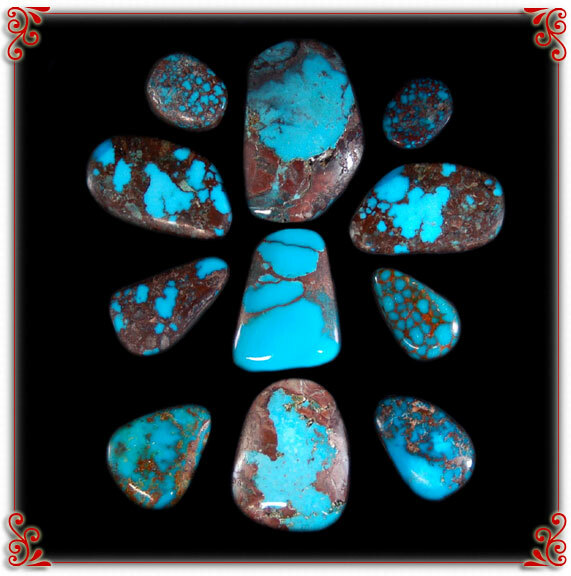 We own one of the largest Bisbee Turquoise collections.